The basis of the bone system. The bone is a living tissue that is continuously updated with two cycles. The first cycle is resorption, it destroys the old tissue, and the second creates a new one. The whole process is called bone remodeling. With a normal diet and exercise, the body maintains a balance in the direction of the formation of new bone tissue, so that the bones become denser and stronger. This sequence is especially characteristic in the period of life up to thirty years. But after thirty years the importance of proper nutrition and sports training for bone health only increases, as the process of destruction of bone tissue begins to predominate over the creation and it is the healthy way of life that contributes to the improvement of bone mineral density and strength. The first way to improve the condition of bones is a complete intake of calcium. This mineral is found in the body mainly in bones of 99%, so the conclusion is unambiguous: calcium is simply necessary for the health of the bone system. You can provide your diet with a sufficient amount of calcium with the help of natural products, as well as with the intake of food additives, where it is necessary to comply with the dosage, because excess calcium is harmful to the body. There are biologically active supplements (BAA) with citrate or calcium carbonate. It is believed that in this form the mineral is digested better. 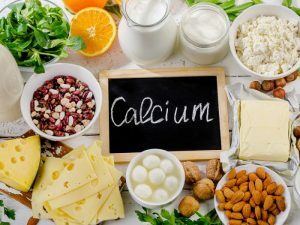 A lot of calcium is found in dairy products (milk, yoghurt, cheese), in cruciferous vegetables (broccoli, pak-choi), in soy products (tofu), in beans. The total daily calcium intake for an adult is 800 – 1200 mg.
Vitamin D is an important component in the absorption of calcium. Vitamin D promotes the absorption of calcium by bone tissue, thereby playing a significant role in maintaining the health of bones. However, few products contain vitamin D in the normal amount to fully cover its lack, because of which vitamin D is often in short supply, especially in winter, when together with its inadequate consumption of food, the human body receives a minimum of sunlight. The fact that sunlight is the best source of vitamin D. Under the influence of light, cholesterol in the skin turns into vitamin D3, cholecalciferol (photolysis reaction), then, after entering the liver, it is converted into the main inactive form of the hormone – 25-hydroxyvitamin D3, and already in the kidneys the substance is transformed into an active form of vitamin D3 called calcitriol. In turn, calcitriol controls the exchange of calcium, stimulating its absorption with bone tissue. Of course, it would be great to receive vitamin D only from sunlight, because it’s very simple. But the change of the seasons, as well as irregular sun exposure, protective creams, skin pigmentation and other factors prevent the entry of ultraviolet rays and force to receive vitamin D in the form of additives. For improved digestion, it is recommended to use supplements with vitamin D3, known as cholecalciferol. Basic exercises in bodybuilding not only effectively develop muscle strength and weight, but also strengthen bones. Lifting weights is a sufficient stress for bones. To adapt to stress, the body intensifies the production of new bone matter, dianabol results in the bones becoming denser and stronger. Scientists from the University of Missouri (USA) in 2015 conducted a study lasting 12 months, in which two groups of regularly trained men participated. One group performed jumping movements, and the second trained in a power style, doing basic exercises. 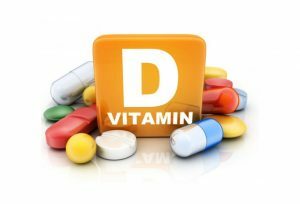 Both groups during the whole period of observation regularly consumed calcium and vitamin D supplements. As a result of the research, scientists established that athletes from the group of strength exercises significantly increased the strength of bones.